Coming off the heels of another exciting Open Championship, the PGA Tour once again will divvy out its purse in a foreign currency after the completion of the RBC Canadian Open at Glen Abbey Golf Course in Oakville, Ontario. I hope you enjoyed the architectural beauty of Carnoustie, a course that used the natural contours of the land to offer one of the most challenging tracks in the world. And despite wide predictions that we’d see the winning score well beneath double-digits under par, the course showed who’s boss when mother nature turned on the fans and flustered several golfers during the final round. I was hopeful that we’d be in for a very special tournament, and it certainly didn’t disappoint. Unfortunately, we’re about to embark on one of the most overrated portions of the PGA Tour schedule. Don’t get me wrong – the vibe of the Canadian Open is always great and the enthusiasm of the gallery radiates through the television screen. It’s Canada’s national tournament and the fans show up with a vibrant passion for the contenders, especially when one of their native sons is fighting for the win. 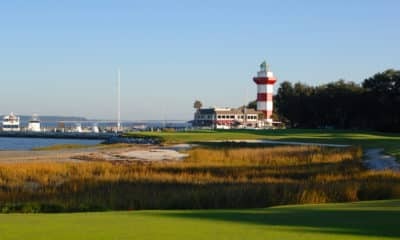 It’s a shame that the reshuffling of the PGA Tour schedule in 2019 will punt this tournament to the week before the U.S. Open. 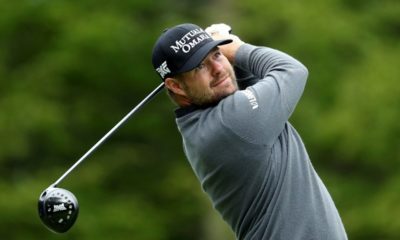 It’ll join the Valero Texas Open, the Byron Nelson and the John Deere as the tournaments almost every big name player will immediately cross off their event list for the year. But as I’ll repeat over the next two weeks with Firestone CC and Bellerive (which I’m already dreading to write about the Cooper Manning of the major season), the problem with this portion of the schedule is that the courses we’re about to watch are very lackluster, and in the case of Glen Abbey can be very bizarre with how some of the holes are designed. Starting off, the Front Nine is very forgettable and looks like almost every parklands golf course in the northeast. Almost every hole over the first nine consist of tight, tree-lined fairways protected by fairway bunkers and the occasional forced to carry water hazard. There’s not a lot of creativity in both the design or the strategy of the holes – pick your line, set up, and hit it there. Lather, rinse and repeat. These are known as the Valley Holes that wind around Sixteen Mile Creek at the basin of the property. On the 11th tee, the players overlook the fairway 60 feet below and must clear the creek with their second shot. They’ll continue to follow the creek to the west, all the while trying to avoid dooming a shot to a watery grave. They’ll finish up this stretch by playing the challenging Par 3 15th that features a heavily sloped green. I always admire when golf courses let the land dictate the design instead of vice versa, and this stretch of holes always piques my interest on the broadcast. I mean seriously – what the hell happened here? Why are there so many fairway bunkers back to back to back? It’s like the Oakmont Church Pew Bunkers had a few too many drinks, made a bad decision with TPC San Antonio and spawned this abomination. And worse yet, only eight of the 20 bunkers I count between the 17th and 18th are even in play for the pros. All they serve is make average joe’s like me hate their life and trudge to the parking lot in a fit of rage after going bunker to bunker to bunker for two straight holes and pencil in back to back quads on the scorecard. And does the shape of 18 look familiar? It’s basically just a carbon copy of the 18th at PGA National, another Jack Nicklaus designed course. Why? Appropriately enough, the greens and surrounding bunkers from above make it look like one giant sad face. Sure, this design can create some interesting hole locations. But how is this any fun for amateurs who play here? When they miss the green and shortside themselves into one of six bunkers, is that a rite of passage for the members? Do they give you a free hat anytime you successfully chip from one side of the green, over the bunker and to the other side? No wonder they’re taking this tournament a half hour south to Hamilton Golf and Country Club in 2019. What a mess these two holes are. (Sorry, I apologize to Canada for desecrating on the golf course of their National Tournament. Maybe I’m just perturbed that I write a golf gambling column and I’m now 3/4 of the way to the Runner-Up Grand Slam after betting and writing on a 3rd straight second place finisher without taking home any bacon). Anyways, enough with nerding out on bad golf course architecture – that’s not why you’re here. You’re here to try and make some money off the tournament either with futures bets, matchup props or in your DraftKings lineup. This week, it’s all about the guys who can make birdies. The winning score is routinely in excess of -15, with last years winning score a blistering -21 by two time defending champion Jhonattan Vegas. Given how easy the course plays and how simple some of the proper lines are, not only will I be targeting golfers with high birdie rates but also are very proficient in Strokes Gained Tee to Green and on Approach. And in terms of a common range on approach shots, most golfers who are in contention at Glen Abbey tend to score well on approaches between 150-175 yards over the last 5 years. The first concern when betting on one of the favorites is if there will be any effects to jet-lag after playing in Scotland. Looking back at recent Top 10’s at the RBC Canadian Open, it shouldn’t be that much of a concern. This tournament routinely features players who played the Open Championship, hopped off their Netjet in Toronto on Sunday and play well at Glen Abbey four days later. So if this was an angle you’re considering, toss it aside and focus solely on stats, recent performance and course fits. The two big favorites here are the bash brothers in Dustin Johnson and Brooks Koepka, both of whom are coming off very disappointing performances over at Carnoustie. Both were considered favorites to hoist the Claret Jug because of how well they can wield a driving iron, but Koepka faded badly on the weekend and DJ didn’t even make it at all. When both of them get it going they’re birdie machines, but of the two I like DJ better. 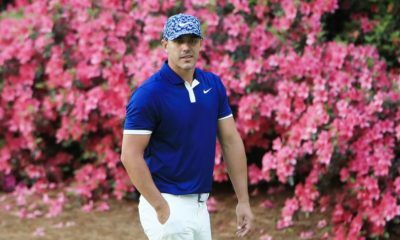 Koepka doesn’t seem to have quite the giddyup at lesser events, and with a major venue on the horizon that fits his game perfectly, maybe he throttles down this week. As for DJ, he has a pretty good track record at Glen Abbey with three Top 10’s in his last 4 starts there, and I have a feeling he’ll bounce back nicely from the missed cut at Carnoustie. I don’t like putting a futures bet on him to win because the value isn’t there, but between the two on a head-to-head matchup or on a DraftKings lineup, I prefer him. As far as the other favorites go, I think Tony Finau and Bubba Watson are both in for nice weekends as well. Both golfers rank well inside the Top 60 on the PGA Tour in both Par 4 and Par 5 Birdie or Better %’s. Finau’s career is resembling a bit like Brooks Koepka’s, as he only has a lone victory at the lowly Puerto Rico open, yet he has all these great performances at big-boy tournaments on his resume. Coming back from another strong performance at a major and at a place where he could bomb-and-gouge it, I wouldn’t be surprised if he finally gets in the winners circle at a real tournament. As for Bubba Watson, my attorneys won’t let me comment on the existence of a cease and desist order after I assassinated his character on both the U.S. Open and Open Championship podcasts, but out of cautiousness I’ll tone down the rhetoric and speak a little more favorably of him. Bubba has his list of courses he annually plays well at, and Glen Abbey is one of them. Bubba has scored a career 1.61 Strokes Gained at Glen Abbey, which is good for 5th of all golfers at the course. On friendlier confines, I expect yet another solid finish at the RBC Canadian Open in 2018. Player A is Jordan Spieth, while Player B is Joaquin Niemann. Now, if you think you can go to the water cooler and impress one of your PGA junkie co-workers on how you discovered this little known hot young stud, think again. Niemann has been one of the highest owned golfers on DraftKings since he turned pro at the Valero Texas Open and I’ve purposely had a bit of skepticism on him to try not and get swept up in the wave of hype. I simply can’t ignore the talent anymore. Niemann doesn’t have enough starts this year to rank in any statistical categories, but if he did he’d average 1.44 Strokes Gained Tee-To-Green, 0.79 Strokes Gained Off-The-Tee and 0.96 Strokes Gained – Approach as a professional. That’d rank 12th, 8th, and 3rd in those categories if he qualified, respectively. He’s not a flash in the pan, he’s the real deal. I’m not ready to commit 25/1 on him to win the golf tournament, but you can get him -125 over Kevin Kisner on mybookie.ag. Kisner is probably due for a let down after his near miss at Carnoustie, so I like this spot to back Niemann. For the record, Joel Dahmen’s futures odds stink. Yes, he’s been red-hot of late but 50/1 to win the golf tournament is way too rich for my blood. But he does check a lot of boxes for me this week – Dahmen is 54th in Strokes Gained Tee-To-Green and on Approach in 2018, he ranks 10th in Par 4 Scoring Average and ranks 36th in Par 5 Birdie or Better %. For $7,400, that’s a great value on a guy who fits the mold of a golfer who fares well at Glen Abbey. More importantly, though, is that on mybookie.ag you can get him -115 over Harold Varner III, who doesn’t appear to be a good fit at the course despite two consecutive strong finishes at the Greenbrier and the John Deere. Stay away from the futures win bet, but try and use Dahmen in DraftKings and on that matchup prop. Like Bubba, Chris Kirk has positive memories and performances at Glen Abbey and could be in for another good finish this weekend. In his career, Kirk as scored 0.68 Total Strokes Gained/Round over the field, which is a solid-but-not-spectacular clip. But I think he can eclipse that mark this week with how well he’s struck the ball on his approach shots and how well he’s been able to capitalize on birdie opportunities in 2018. Kirk ranks 33rd in Strokes Gained Tee-To-Green, 17th in Strokes Gained – Approach, 42nd in Par 4 Birdie or Better % and 18th in Par 4 Scoring. Anyone who wants to be in contention this weekend has to put a lot of circles on the scorecard, and if Kirk’s ball-striking is up to snuff he should be in the mix. In order to be towards the top of the leaderboard, Martin Laird needs to strike the ball better than he has this season and avoids blow up holes. Laird only ranks 84th in Strokes Gained Tee-To-Green and 117th in Strokes Gained – Approach. But if his ball-striking does show up he’s very capable of piling on lots of birdies on his round. Laird ranks 46th in Par 4 Scoring, 19th in Par 4 Birdie or Better % and 22nd in Par 5 Birdie or Better % this season on the PGA Tour. He also has positive course history at Glen Abbey when he finished 2nd to Jhonattan Vegas in 2016. I like him as a cheap option at the back end of a DraftKings lineup with the hopes of upside. Backing Vaughn Taylor isn’t exactly thrilling, but at $6,900 in DraftKings he can be a very solid play as a last resort in your lineup. Taylor’s made 7 of 9 cuts which include three Top 20 finishes. 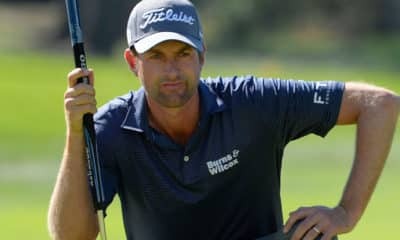 His solid play of late has been attributed to a good approach game and the ability to convert his birdie opportunities on Par 5’s at a decent clip. It’s not the sexiest play, but I like utilizing him this week with his low price-point so I can try and squeeze in another higher quality player up at the top of my lineup.